I joined Encompass Fitness to incorporate a fitness routine that kept me accountable and to improve my health and get back into my clothes. I was feeling depressed and sluggish but had no motivation to do anything about it. I was initially hesitant about joining a Small Group Training program because of the cost. Could I afford it? Would I stick to it? And, would I like it? My decision to check out the programs at Encompass was after speaking with Brady. She was just so positive and encouraging. Was I nervous and scared? Heck yes!! But the staff were so friendly and encouraging I just knew I had to give it a shot. I found that I could do anything I put my mind to. Even if I had struggles doing exercises I tried, the trainer would modify the program to my needs to keep me moving forward. The best part of the program was the one-on-one attention in my Small Group Training of 4 of us. We really got to know each other and pushed each other throughout the workouts and held each other accountable when we needed it. Jessi gave me such confidence and strength to know I could do the program, enjoy myself and have fun in each class. Trying new things is always so intimidating to all of us at first but once we push ourselves to try and step out of our comfort zone, we find that anything is achievable. I’m a lot stronger than I think I am and I have started to stop second guessing myself. Encompass has empowered me so much in my personal life and fitness goals. 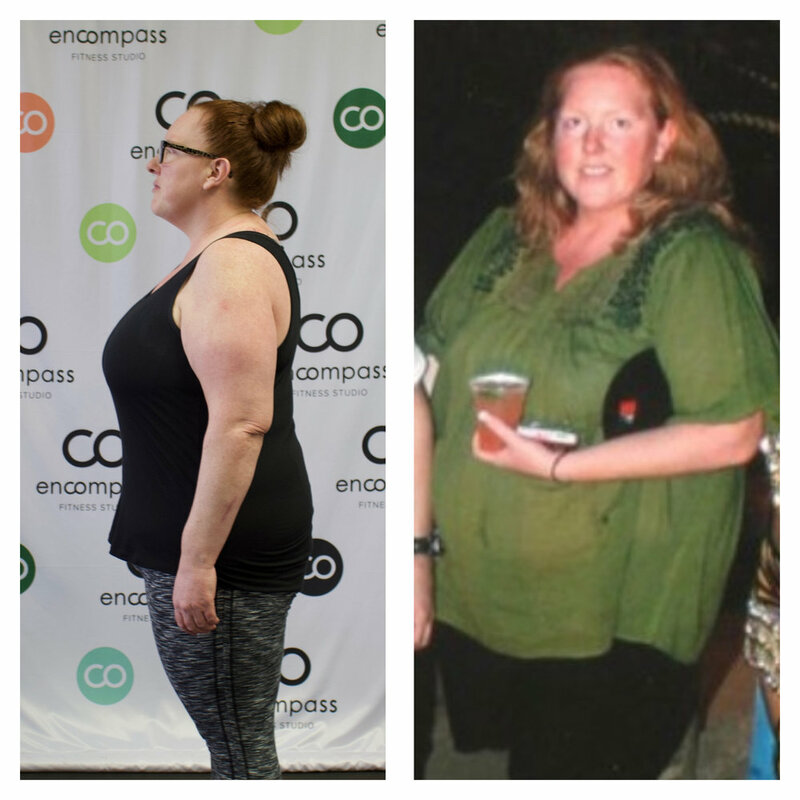 Theresa started her fitness journey by attending 3 Small Group Training sessions a week. 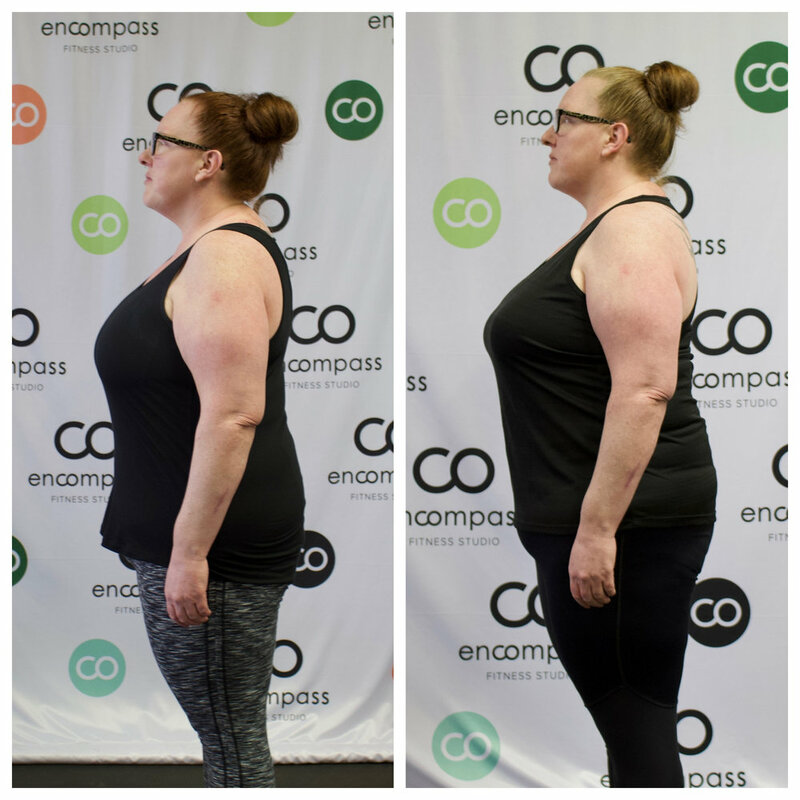 After only 3 months of Small Group Training, Theresa was feeling confident enough to join the group classes! Theresa continues to amaze us with her strength and ability to push herself. She will always try something once and that attitude is partly to thank for all of her success! Encompass has such a great atmosphere and the members are amazing! All the staff and members there are so encouraging and helpful. After only 5 months, I have lost weight, inches and gone down 2 clothing sizes. I decided to participate in the September KickStart Program to further my weight loss. In those 4 weeks I lost 10 pounds and over 7 inches. I have more energy, I feel better, happier and a new perspective in general. I wish I would have joined sooner! !